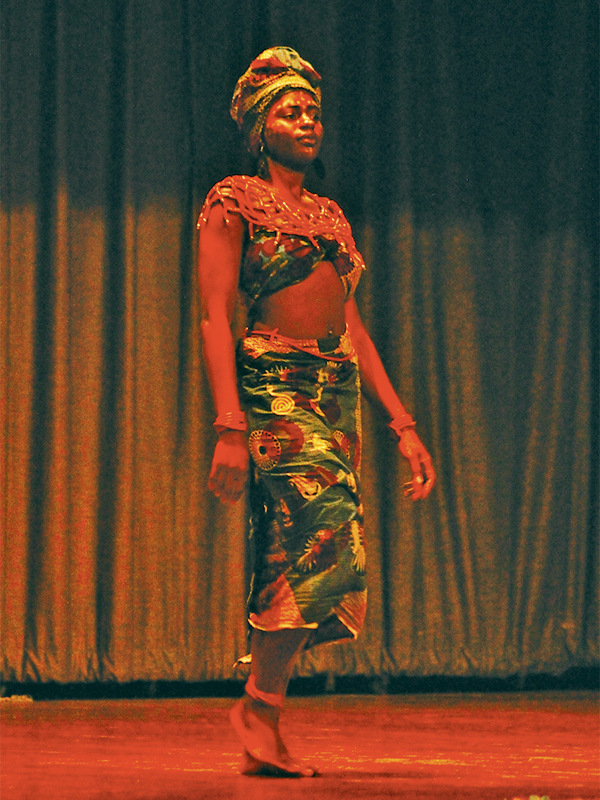 Lola Olaleye ’19 combined the traditional dress of the Nigerian tribes (Kwale) of her mother and of her father (Yoruba) for the Student International Organization (SIO) Fashion Show in October 2017. She participated in the annual SIO event as a member of Black Expressions. All members were encouraged to wear representation of their culture for a presentation that included African, Caribbean, hip hop, and traditional dance moves. Lola grew up in Nigeria, and she, her mother, and two younger sisters moved to New York when Lola was high-school age, attending Bronx Envision Academy. Her mother wanted her daughters to have opportunities beyond marriage in their futures. They had family in New York and in Houston, where they moved a few years later and where Lola graduated from high school. A permanent resident of the U.S., Lola hopes to attend law school and pursue civil rights work, advocating on behalf of women.